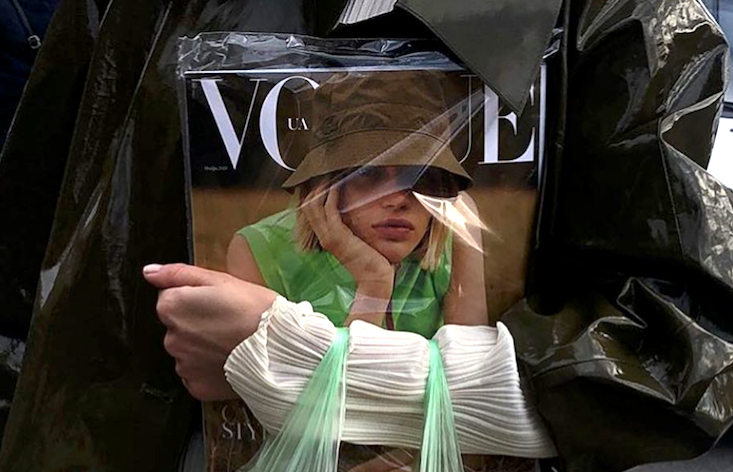 The editor-in-chief of Vogue Ukraine, Olya Shushko, has been suspended amid ongoing allegations of plagiarism. In a statement released on Wednesday, publishers Condé Nast International and Media Group Ukraine announced that Shushko would step down from the role while an internal investigation was carried out. Accusations against Shushko, who has held the helm of Vogue Ukraine since 2016, first appeared on Monday after readers noticed that the Editor’s Letter in the magazine’s June issue had copied large chunks from a text written by designer Shakhri Amirkhanova in 2006 for the Russian version of Harper’s Bazaar. The allegation prompted similar examples to appear online, with journalists and readers hunting down ten extracts from Shushko’s column that appeared to be taken from other Russian-language media outlets. Posting on Facebook, Shushko apologised for the scandal, telling readers that she sometimes hired a freelancer to write the editor’s letter — including the text that appeared in the June issue.